We are delighted to announce the launch of the Art UK Shop which has been built on behalf of the nation’s public art collections. We hope you will enjoy exploring the Shop and supporting collections by making purchases. This is what’s called a ‘soft launch’ with a more whiz-bang public launch planned for Spring 2017. Taking the Art UK Shop live are seven pilot collections offering print on demand and licensing. 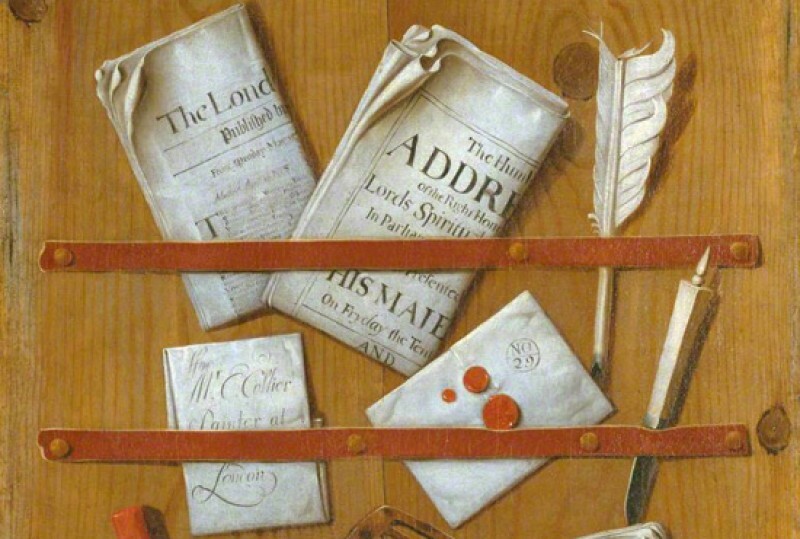 Our pilot collections are Amgueddfa Cymru – National Museum Wales, Bradford Museums and Galleries, Bruce Castle Museum, University of Dundee Collections, Gainsborough’s House, Manchester Art Gallery and Staffordshire Archives & Heritage. We would like to thank them for taking the lead. More collections will join soon. The Art UK Shop is a major development for the 650 Partner collections behind the Art UK platform. Our expectation is that the Shop will become a major marketplace for the UK’s museums and galleries. 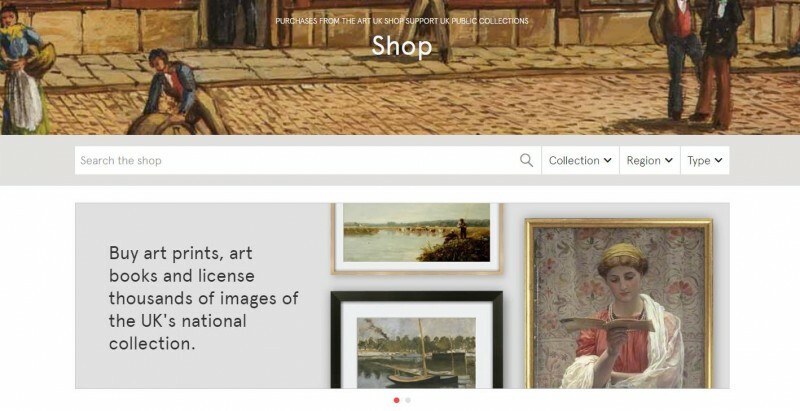 Through Art UK, customers will be able to seamlessly browse artworks in UK public collections, select prints to purchase, and from March, add other museum merchandise to their shopping basket. Revenue generated will go back to the participating collections, helping to support UK art collections financially at a time of unprecedented public sector funding cuts across the UK’s museums sector. Art UK does not share in any of the income generated through print on demand, licences and museum merchandise. However, customers are welcome to make donations and encouraged to buy our books. The Art UK Shop sits seamlessly behind the existing Art UK site but is operated by e-commerce experts Internova UK Ltd. Where works are available in the shop, a basket icon will be visible on the relevant artwork, and you will be able to click through to the shop, customise your print by selecting from a range of sizes, mounts and frames (if desired) and complete your transaction through your existing Art UK account. There is also the opportunity to license selected images for a range of publishing, retail, advertising and online purposes. In its pilot phase, the Shop will offer print on demand and licensing on over 3,000 out-of-copyright paintings from our seven pilot collections. Other Partner collections will soon join the Shop, adding their paintings too. From March 2017, Partner collections will also be able to sell their own merchandise through the Art UK Shop. As partners and products grow on Art UK, the shop will become a truly one-stop destination for people looking for unique gifts. Art UK is grateful to the financial support received from Arts Council England which has enabled us to build the platform. Joyce Wilson, London Area Director, said 'Art UK’s innovative project will significantly benefit the bottom line of many museums across the country. The impact will be far-reaching and long-lasting and represents an important step forwards for the sector.' Art UK has also received financial support from a private foundation towards building the Shop. We will, over the coming weeks, be looking in more detail at the collections that have helped to launch the Shop. But you don’t need to wait for us to prompt you to take a look. There are plenty of beautiful paintings that will make great prints for Christmas here. In order to ensure delivery in time for Christmas, the last dates for UK orders are noon on 12th December for framed prints, noon on 19th December for unframed prints and noon on 21st December for books. International orders for unframed prints must be made by 15th December, and book orders by noon on 19th December.